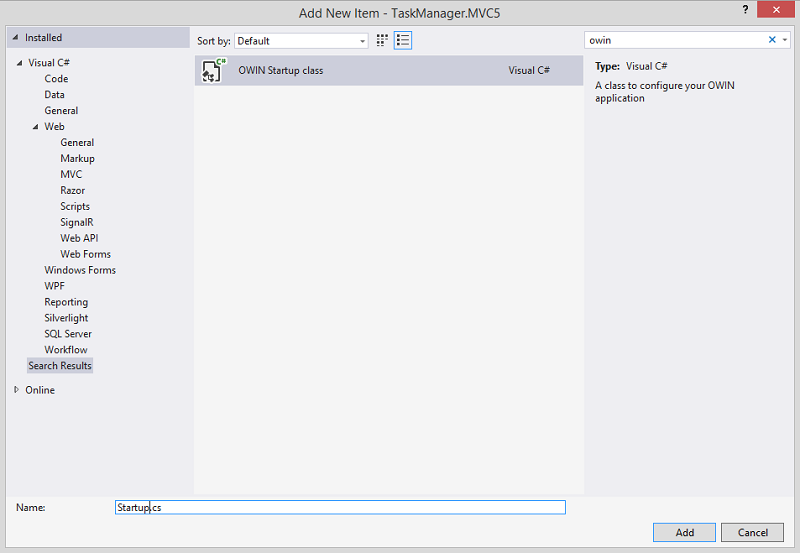 Here is a step-by-step tutorial on how to create a task manager project in MVC5. You can download a ready sample in MVC5. 1 . Task manager app contains a number of tasks and employees. Employees can handle the assigned tasks. 2 . One task is assigned to one employee. It can also be reassigned to another employee by the manager. 3 . An employee can change the status of a task assigned to him/her and view task details. 4 . The app includes two types of users: the Manager and the Employee. 5 . 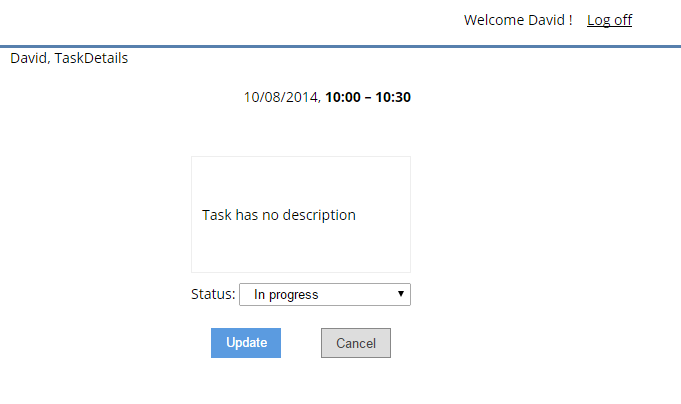 The Manager can add, edit and close all tasks. 6 . Task status is defined by task color. 7 . All user types have different access rights. To login, a user must enter the user ID and the password. Proceed with the tutorial by completing the steps below or download task manager sample in MVC5. 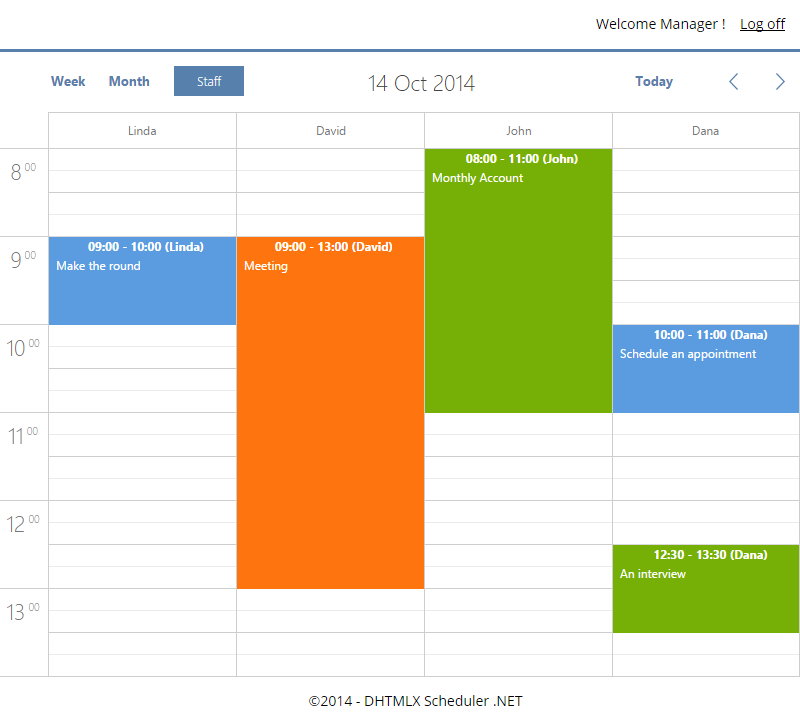 At the very beginning we will create a new Microsoft Visual Studio 2013 project and install DHTMLX Scheduler .NET via Nuget. In order to keep implementation of the login system separately from the rest of the application, we'll define it in a separate class-library project within the same solution. We will build our membership system using ASP.NET Identity. Add references to the library via Nuget (Package Manager Console). ApplicationUser class represents a user entry of the application. It should be inherited from the IdentityUser class, that is the default user implementation of EntityFramework. UserIdentityDbContext represents a class that uses the default entity types for .NET Identity Users, Roles, Claims, Logins. Exposes user related APIs, which will automatically save changes to the UserStore. UserIdentityDbContext class will delete, recreate, and optionally reseed the database only if the model has changed since the database was created. 5 . If you need some default data in the database, you need to override the Seed() method. This class will handle login/logout user attempts. 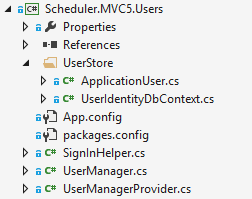 After that Build Library and Add Reference to the TaskManager.MVC5 site. The next step is to define the data model of our application and connect it to the database. As at the previous step, we'll use the Code First approach. 1 . Select Solution → Add → New Project → Your language → Windows → Class Library. 2 . 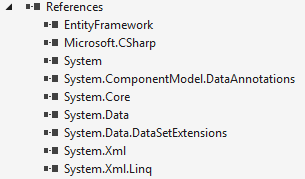 In the Name box enter TaskManager.MVC5.Model. 3 . In the Location box, enter a name for the project folder. 4 . Select Create directory for solution. A repository pattern is an abstraction layer between the logic of your application and the implementation of database access. Your access layer can be any from ADO.NET stored procedures to EF. It also excludes duplicated code and simplifies testing. 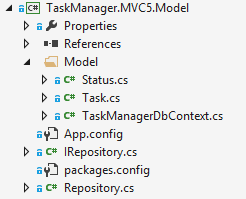 Finally, Build Library and Add Reference to the TaskManager.MVC5 site. //This will used the HTTP header: "Authorization" Value: "Bearer 1234123412341234asdfasdfasdfasdf"
In the Views folder of the project create the following folders: Shared, Account and System. The Shared folder is used to store views shared between controllers (layout page). Also this folder contains a user control partial view. The Account folder contains pages for logging in and registering user accounts. manager.cshtml file which represents the Manager page of the application. employee.cshtml file represents Employee page. TaskDetails.cshtml file displays task details data for employees. 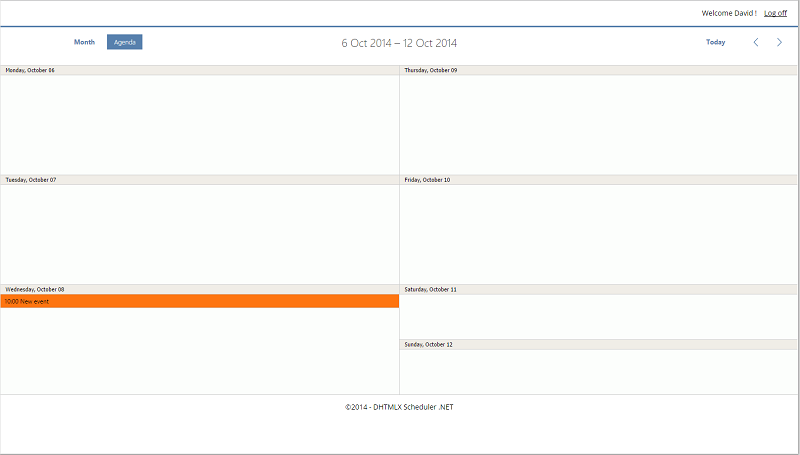 scheduler.Config.time_step = 30;//sets the scale interval for the time selector in the lightbox. 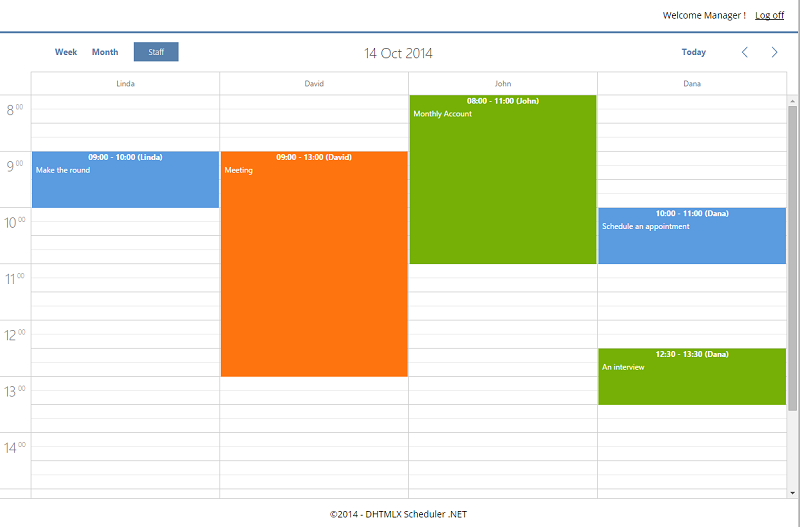 scheduler.Config.full_day = true;// blocks entry fields in the 'Time period' section of the lightbox and sets time period to a full day from 00.00 the current cell date until 00.00 next day. In all the actions defined at this and further steps (except Index()), we will do 'rights checking' to protect the app from unauthorized access, in case a user skips the login page and loads our server-side login script directly in the browser. To avoid repeating one and the same code several times, we'll also specify a function (RoleIs) that will implement such checking functionality and later, when we need to check rights, we'll just call this function. Data ActionResult loads data from the database. Save ActionResult saves changes to the database. 4 . Move to Solution Explorer → RouteConfig.cs file. 1 . In the Content folder add a Style Sheet (create it, if it does not exist) and named it Site.css This file contains styles for all site. #5c87b2 with your new color. That's all. You can download task manager sample in MVC5.